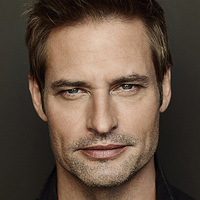 Josh Holloway (born July 20, 1969) is an American actor and model from Free Home, Georgia. 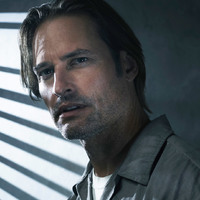 He is best known for his role as James "Sawyer" Ford on the American television show Lost. 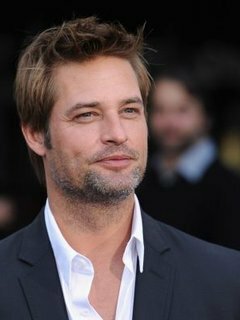 Born in San Jose, California, the second of four boys of a nurse mother and a surveyor father. His family moved to the Blue Ridge Mountains of Georgia when he was two. In addition to his immediate family, Holloway has a large extended family that includes Baptist preacher Dr. Dale Holloway and author and World War II prisoner-of-war Carl Holloway. Holloway grew up in the small North Georgia town of Free Home and attended Cherokee High School in Canton, Georgia. He developed an interest in movies at a very young age. He studied at the University of Georgia for a year, but left to pursue a career as a model. At around 4:30am on Wednesday, October 13th 2005, he and his wife were robbed at gunpoint in their home in Oahu. 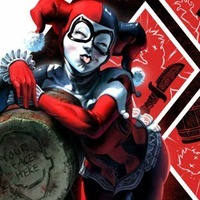 The robber took cash and credit cards as well as stealing Holloway's Mercedes-Benz that was later dumped not far from his home in Hawaii Kai, which is about 12 miles east of Honolulu. They were shaken but unharmed. An arrest was later made in the robbery. Although born in California, his family moved to Georgia when he was a baby, and he still considers himself a "Blue Ridge Mountain boy." 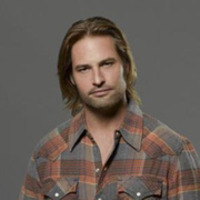 While he says it looks "cool", he admits to hating the long hair he has to wear as "Sawyer" on _"Lost" (2004)_ (qv). Favorite foods are fried chicken and chocolate pie. Shares birthday with mega-model 'Gisele B�ndchen' (qv).